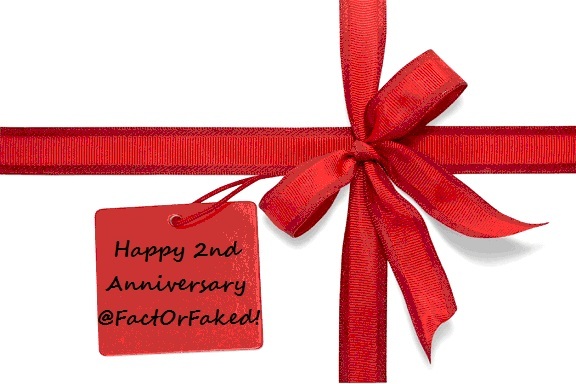 Thank you for following @FactOrFaked and helping celebrate 2 years! The winner of the team signed photo is @KandKsDaddy! Congratulations! Thank you for all of the entries. It's the @FactOrFaked twitter's second anniversary. As most of my celebrations go, you have a chance to win. Tweet an original anniversary message to @FactOrFaked. Entry tweet must be entered by Wednesday, July 25, 2012 at 10 p.m. pacific. Contest ends on Wednesday, July 25, 2012 at 10 p.m. pacific. I'm Christiane. I run the @FactOrFaked twitter account. 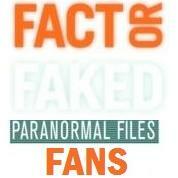 Thank you everyone for following @FactOrFaked. It's been two years of dedication and hard work devoted to bringing you the latest and greatest Fact or Faked: Paranormal Files news. My twitter feed is filled with team exclusives, contests, giveaways and of course connecting with fans! I update the fans on the latest events the team is appearing at and for the first time ever, gathered the team for a fan meet up at San Diego Comic Con. I am not a network employee, this comes from the heart. Looking forward to Syfy's announcement of more Fact or Faked episodes and more time to connect with this great fan base. I've had an amazing two years and experiences that many can only dream of. I have loyal amazing followers filled with many Syfy stars. Thank you all for the support.